The holiday shopping season is near and it’s time to start checking off names your list. Whether it’s small boutiques or big box stores, the Cumberland Valley has it all. Here are some of our favorite shops in the Cumberland Valley. Brittle Bark’s homemade chocolate and bark have become a nationally-known treat (even appearing on the Today show and the Rachel Ray show) and its home is right here in the Cumberland Valley. 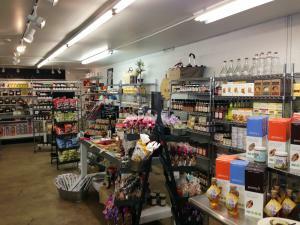 Located in Mechanicsburg, Brittle Bark offers a wide selection of gourmet chocolate and specialty, one-of-a-kind treats. With the holidays approaching, Brittle Bark’s appetizing treats make fantastic gifts and stocking stuffers, as well as a different twist on the Valentine’s Day and Easter chocolates. Brittle Bark also hosts a number of classes throughout the year where you can learn more about the chocolate process and sample plenty of cocoa sweets. I’m a big fan of the chocolate covered pretzels and fruit gummy treats. A lot of people know One Good Woman as the place to get specialty coffees and teas, but they offer so much more! This is my go-to place for gifts whether it be kitchen accessories, cute jewelry, kid’s items and more. They have a variety of price points and the inventory changes enough to make repeat visits a must. They also offer an assortment of unique books, cards, mugs and tea towels. They also deserve credit as a destination shop for loose teas and freshly ground coffees. The delightful coffee aroma hits you before you even get to the door! If you are ever in need of a gift for someone, or are just in the mood to peruse a quaint local shop, I highly recommend stopping by One Good Woman in Camp Hill. This town also offers a variety of other local shops and restaurants. Make an afternoon out of it and see all your options here. Although I don’t fish or hike regularly enough to warrant having the great outfit that has purpose, style, UV coatings and a bunch of zipper pockets to stuff important things in; I absolutely love stopping by the TCO Fly Shop in Boiling Springs to browse and buy. I haven’t yet walked in and not walked out with something for myself, my husband or friends and family and yes, even the doggy-friend. 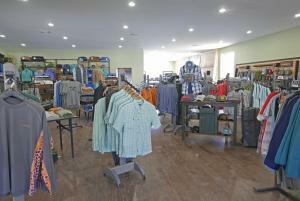 Read more about TCO Fly Shop here. 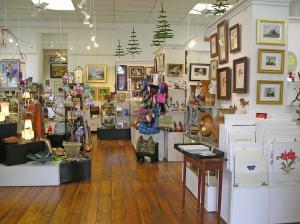 One of my favorite shops in the Valley is the Village Artisans Gallery in Boiling Springs. Housed in a renovated church, this beautiful shop is brimming with unique artisan crafts that are perfect for gift-giving. I always look forward to visiting and browsing the collections of practical, stylish, fun and functional items like clay berry bowls, wooden trivets, funky guitar-string cheese slicers and glass ring holders. The Village Artisans Gallery is also one of the few stores you can purchase Colucci jewelry year round, and is home to folk carver Gay Foltz who is often found in her studio making whimsical creations. To top it off, the owner is a true delight! Bookstores have always been one of my favorite places to shop. I walk into one and I am transported to another world, so it’s no surprise that I enjoy spending time at Whistlestop Bookshop in downtown Carlisle. 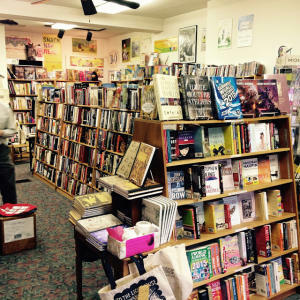 An independently-owned bookstore, it provides a level of service that you can’t find in the big box stores and the variety of books offered is impressive. If you don’t see what you want, just ask. The staff is happy to order it for you. And, most importantly, they get involved in the community by supporting local authors, participating in community events, and hosting readings and book signings. Even if you don’t know what you are looking for when you walk in, you will walk out with the perfect book for you. Not in the mood for a book? Stop in to browse their selection of magazines, greeting cards, postcards, journals, calendars, tote bags and other gift-related items. They really do fit a lot into such a small, cozy location. Also, a quick shout-out to Pomfret Street Books and Canaday’s Book Barn, two great locations to purchase used, rare and out-of-print titles.